"Inspiration" is term that's not particularly helpful when it comes to writing a novel. In fact, most successful novelists know the secret to writing a novel is not waiting for inspiration to hit. Instead, novelists acknowledge that the development of good, consistent writing habits is key to completing a book. If you sit around waiting for inspiration to hit, you'll likely wait around indefinitely. The hardest part of writing a novel is not the starting of it—the world's desk drawers are stuffed with the first page or two of abandoned novels. Instead, the hardest part is seeing the project to its completion, weaving a story that maintains the attention of your reader from start to finish, and finding ways to getting over the first interruption to your project, or the second, or, or, or… Let's face it: writing a novel is no easy task, which is why the vast majority of people who say that "someday" they'll write a novel never get around to doing it. 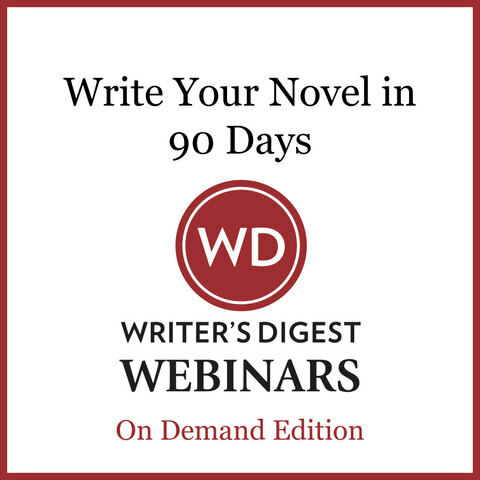 This webinar will provide a no-nonsense guide to readying yourself for the arduous, yet exhilarating project of novel-writing in a set period of time. By planning ahead, setting goals, and focusing on simple steps you can take, prior to writing that first page, you can avoid common pitfalls that have stumped novelists of every experience level. Writing is every bit as much about habit as it is about art. Habit gets pages written; habit keeps your focus. While inspiration is out to lunch, habit is sitting alone at his writing table, hammering out a draft of the novel. 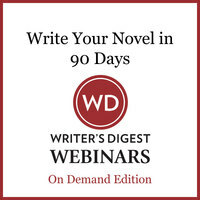 If you're serious about writing a novel, let Sarah Domet, a writer and teacher of writing, and author of 90 Days to Your Novel, walk you through the process of novel writing from day 1 to your completed draft.